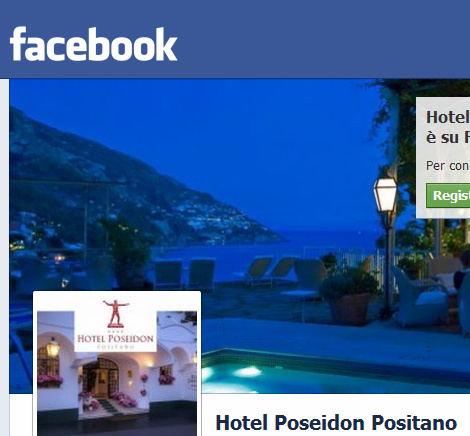 Excellent and very engaged hotel, with a very witty homepage and Facebook Page, and an excellent offer, situated against a spectacular backdrop above the beaches. Also take a look at their new breakfast spot - so inviting. 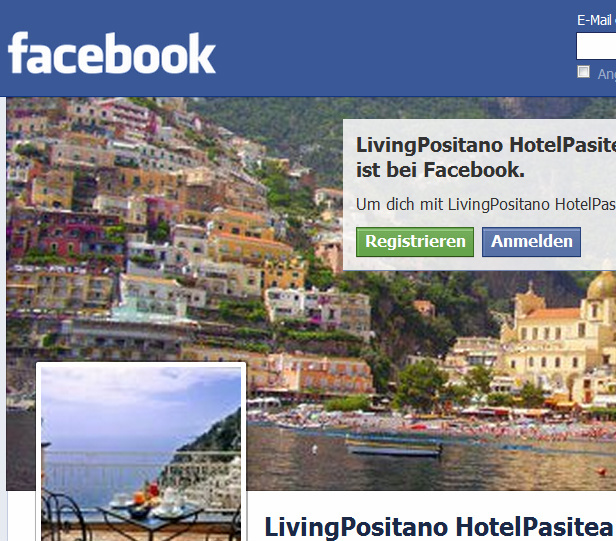 An extraordinary Facebook Site, very aptly named "Living Positano, and Hotel Homepage alike describe hotel features and provide pictures so that everyone can admire the hotel's beautiful settings, nestled in the verdant landscape. 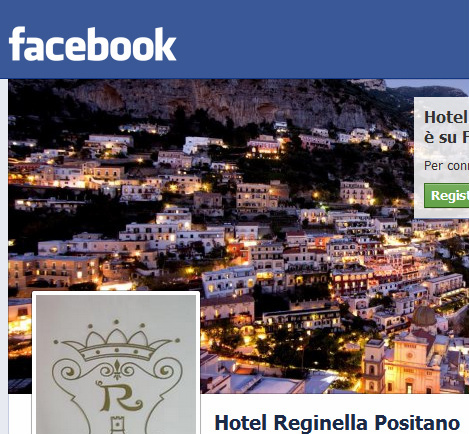 Visit Hotel Reginella's Homepage and to get yet another view of the vertical town, towards Praiano this time. 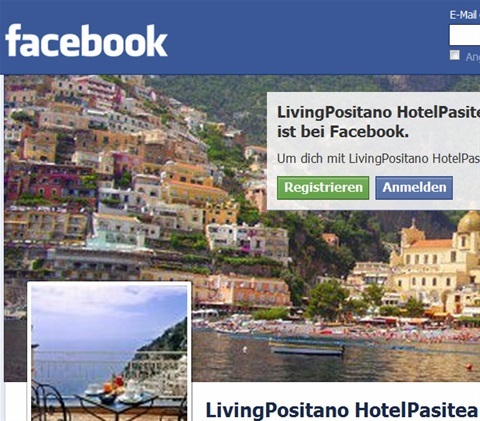 Positano: Villa "La Grotta dei Fichi"
"The cave of fig trees" is the evocative name of this elegant villa, "sospesa tra mare e cielo", between heaven and the sea, where you can rent rooms and can enjoy a very blue view from above. Click here to read more. The tiny islands off the beach are the Galli islands.